With eight of the Worlds ten highest peaks. 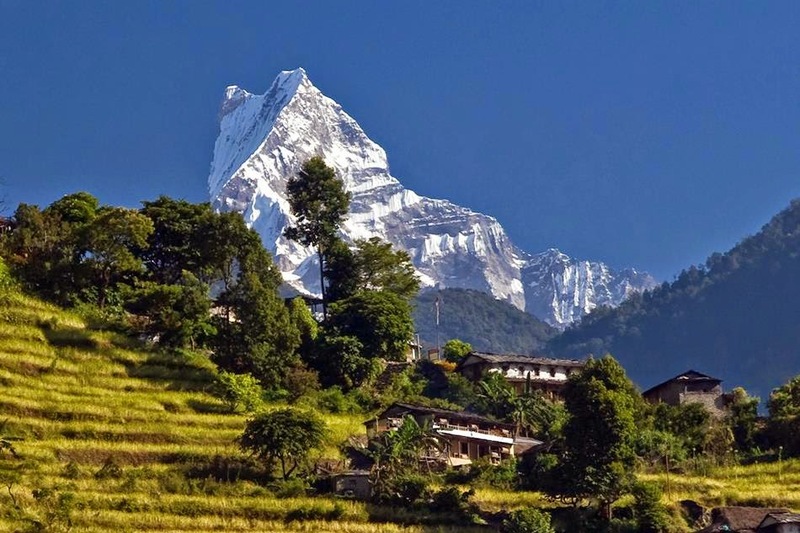 Nepal is loaded with spectacular mountains vistas. 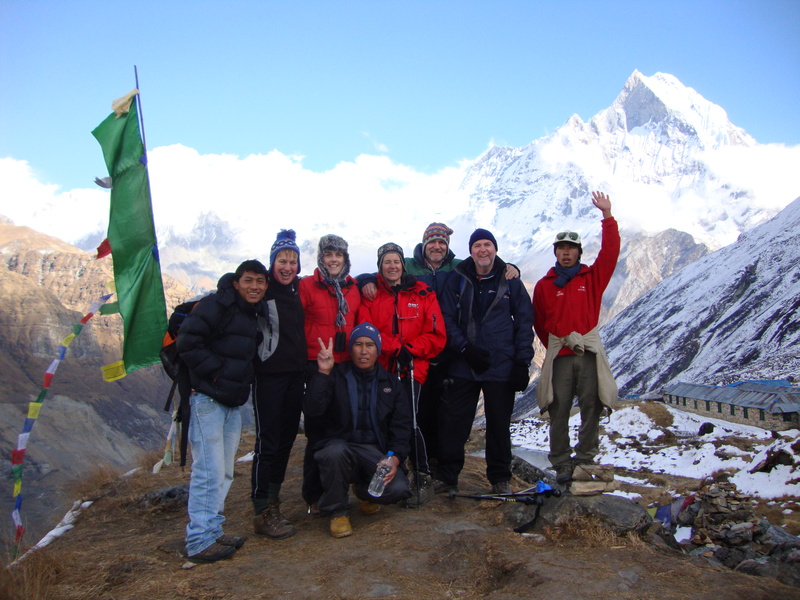 The everest trek is justifiably famous not only for its proximity to the world’s highest mountain but also for its friendly Sherpa people. Pictursque villages, great variety of cultures and traditions, colorful festivals and monasteries. 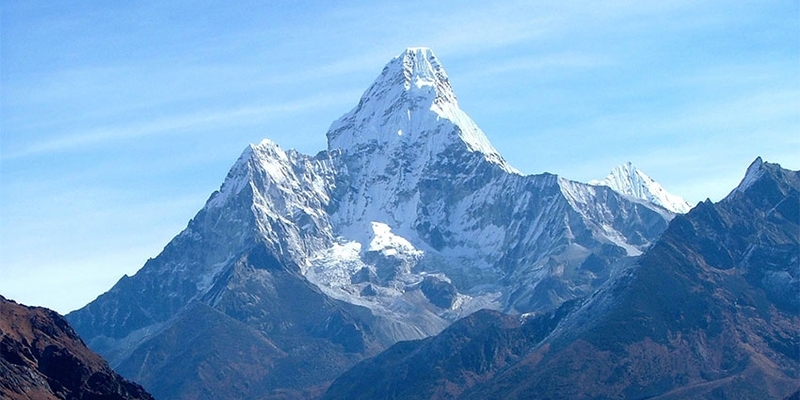 The Sagarmatha National park is rich with flora and fauna, but the existence of the Yeti remains a mystery. 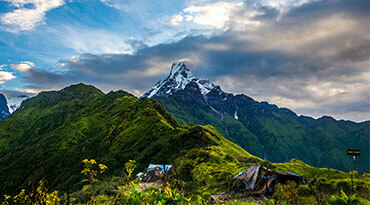 This trek cuts across the valley and starts in Nepal speaking Hindu lowlands and ends in the Tibetan Buddhists Kingdom. Day 11 : In the morning after breakfast drop down via glacier moraine from Lobuche near by Dugla the route will be changed towards the next stop Dzongla (4830m). This is the last stop before crossing the famous Cho La Pass 5330m. Day 12 : From Dzongla now you are going for the pass, it will be long walking until the next stop so may you need to carry extra bottle of drinking water because on the way there is no any places for buying drinks. After the pass the trail drops down to the next camp site is called Thangnak (4700m). Day 17 : Lukla fly back to Kathmandu. Beginning with a slight climb to Jhorsalle, the trail passes a waterfall. All day, we pass villages interspersed with magnificent forest- rhododendron, magniolia trees and giant firs. And on the way to walking you will be rewarded (weather permitting) your first glimpse of Kusum Kanggru (6369m) Thamserku (6608m) Everest (8848m) and Nuptse (7879 m). A steep climb up to the beautiful village of Namche bazaar (3440m). Acclimatization is most important before proceeding to a higher elevation. It is therefore recommended that you take a short days hike to Thame, Khunde or Khumjung or relax and explore the sherpa culture of Namche. after walking one hour you arrive in phungithanga from there the trail climbs through forests where you can spot musk deer. Tengboche sits on a saddle at 3870m in a clearing surrounded by dwarf fires and rododendroms. Kwongde (6187m) Tawache(6542m) Everest (8848m) Nuptse (7855m) Lhotse (8618m) Amadablam (6856m) Thamserku (6608m) provide and inspiring panorama of Himalayan giants. We visit the Bhuddist Monastry at Tengboche, the largest in Khumbu region. Beyond Tengboche the altitude really starts to tell. The trail droops down to Dingboche, crosses the Imja Khola and climbs past superb mani stones ( carved wi th the Tibetan Buddhist chant om mani padme hum) to Pangboche at 3860m The gompa here is worth visiting. Then the trail start climbs to Pheriche 4240m. 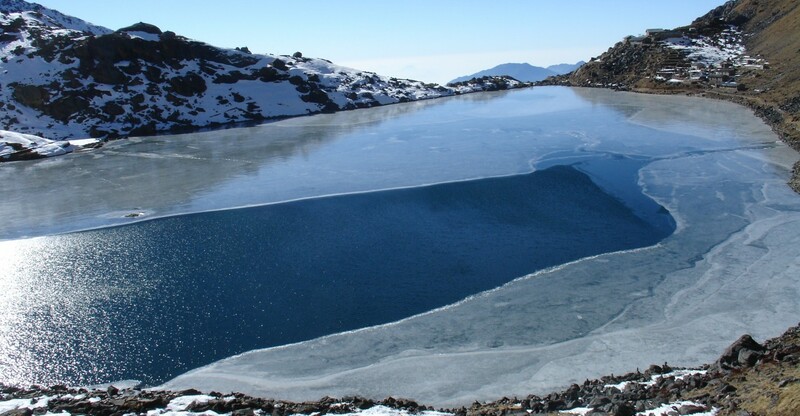 Where there is a medical facility, which gives lectures everyday on Altitude Sickness. The trail from Lobuche follows the grassy ablation valley with great views of Pumori then crosses tributary glaciers to reach the dry lake bed of Gokrakchep. Stop for lunch then climb Kalapattar to get the best views of Everest and the surrounding mountains, then and back to Gorakshep for the evening. Early morning we walk to Everest Base Camp, visit base camp area and work down to Lobuche. Day 11 In the morning after breakfast drop down via glacier moraine from Lobuche near by Dugla the route will be changed towards the next stop Dzongla (4830m). 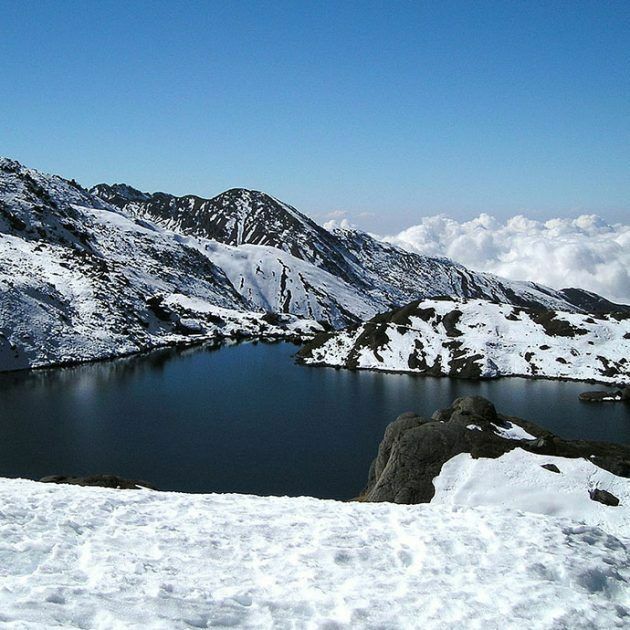 This is the last stop before crossing the famous Cho La Pass 5330m. Day 12 From Dzongla now you are going for the pass, it will be long walking until the next stop so may you need to carry extra bottle of drinking water because on the way there is no any places for buying drinks. After the pass the trail drops down to the next camp site is called Thangnak (4700m). the rout will be descending down via Dhudh Koshi River bank and on the way you will have many spots of wonderful panoramic views. Khumjung is the largest settlement village in the Sherpa land where you will have chance to see real Sherpas’ life style and there cultural activities, The village has also a high school which is funded by Sir Edmund Hillary Foundation and also an old monastery where they have preserved famous Yeti skull. Day 17 Lukla fly back to Kathmandu. Day 11: In the morning after breakfast drop down via glacier moraine from Lobuche near by Dugla the route will be changed towards the next stop Dzongla (4830m). This is the last stop before crossing the famous Cho La Pass 5330m. Day 12: From Dzongla now you are going for the pass, it will be long walking until the next stop so may you need to carry extra bottle of drinking water because on the way there is no any places for buying drinks. After the pass the trail drops down to the next camp site is called Thangnak (4700m). Day 17: Lukla fly back to Kathmandu.